2PCS 6mm/8mm Windshield Wiper Refills For Metal Stents Wiper 14" 16" 22" 24" 26"
Item not fit curved tail pipe. Item not fit tail pipe larger than 65mm/2.6". Dashboard Cover. Upgrade your car more sportily. Digital Photos Will Be Required For All Cases. With water hole on the bottom of the item. Digital Photos Will Be Required For All Cases. Material: high grade automotive PP (can only be bent or twisted slightly). Fit all cars, trucks, vans, SUVs and crossover vehicles. This product requires punching holes to install. 1 x Car Windshield Sun Shade. 1 x Car Rear Window Sun Shade. 4 x Car Side Window Sun Shade (2 for front, 2 for rear). Protect car interior, seat, dashboard, etc from harmful sunlight. Perfectly fits most car windshields and is available in Normal sizes to fit all automotive solutions. These rivet fasteners are made of plastic material, suitable for car use. Body Add-on/Modific​ation Part. Car good accessory, commonly used for fitting side skirts, bumpers and other trim. Stem Length: 19mm(0.748"). 1 Bumper Rubber Protector. All vehicles with flat rear bumper deck. Product: Rear Bumper Protector / Cover. This rubber bumper cover can fit most of cars, but it is NOT a universal fit product. Protect your car rear bumper from wear and tear and scratches, and add style to your vehicle. Patent No: 201630015401.4. High quality phone stand for ios&andriod (Lighting & Micro usb connector only). Magnetic charging facility, flexible, multifunctional. 1 x 22cm Magnetic charging connector cable(lighting and micro usb dual in one). Features: dustproof, soundproof. Dashboard Cover. Installation position: Car Dashboard. Windshield Wiper Systems. Material: Rubber. Highly fits the gap in the center console of the car, it is stable and it does not easily fall off. Lightweight, foldable and easy to carry. Windshield Wiper Systems. 1 x Car Rear Window Sun Shade. 4 x Car Side Window Sun Shade. Size: Side window: about 36 44CM; Rear window: about 50 100CM approx. No more squinting due to the heavy glare of the sun. 1ⅹCar Seat Armrest Cushion. Cellphone pocket on the head of cushion, you won't drop the cellphone in the seat gap. With the pad covered, you can also protect your original console covers from any scratches or sharp objects,and protect against wear, dirt, and even your dogs paws. Composition: Storage Netx1 piece Hookx4. Digital Photos Will Be Required For All Cases. Instruction: NO instruction is included. Also does not occupy space when not in use. 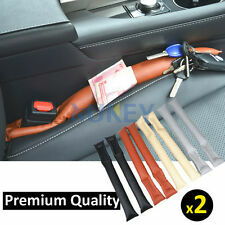 Can effectively fixed bags, books, water bottles, and enhance the security of driving. 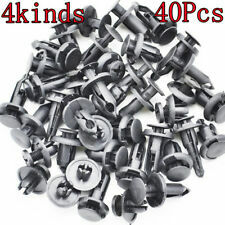 P12 50pcs Black Drive Rivet. P16 60pcs Black Drive Rivet. P22 15pcs Black Driver Rivet. These rivet fasteners are made of plastic material, suitable for car use. P18 30pcs Black Driver Rivet. B180 15pcs White Drive Rivet. Car good accessory, commonly used for fitting side skirts, bumpers and other trim. These rivet fasteners are made of plastic material, suitable for car use. Digital Photos Will Be Required For All Cases. 2017 Latest Black With Red Sport version universal steering wheel cover. 1 Steering Wheel Cover. Dashboard Cover. Material: Fabric Fish Net Stitching. Handmade cover, soft, clean, pore exquisite and comfortable handle. These rivet fasteners are made of plastic material, suitable for car use. Car good accessory, commonly used for fitting side skirts, bumpers and other. Material: Plastic. Digital Photos Will Be Required For All Cases. These rivet fasteners are made of plastic material, suitable for car use. Material: Plastic. Car good accessory, commonly used for fitting side skirts, bumpers and other trim. Digital Photos Will Be Required For All Cases. XUKEY Deluxe Pick-up and SUV Splash Guards provide excellent lower body protection and accent the vehicle styling. Made of TPO Plastic to be rigid and paintable. For Pick-up & Van, SUV, Universal fit.